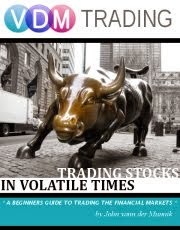 Welcome to VDM Trading! 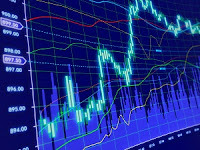 A blog that was established back in 2008 about trading stocks, forex, commodities, etfs, etc, with some personal opinions about not only how to trade them and why, but also commentary about (recent) economic events that affect the financial markets around the world. I realized that although I have this personal stock trading blog for some time now I never really explained anything about the blog itself. Many people approach me on this blog wanting to know if I'm interested in collaborations to promote financial products, or write about certain topics. Perhaps it's a good time to explain what this personal trading blog is about, to avoid any confusion. I started this blog back in 2008, though I had another trading blog before that which focused more on the topic of forex trading called 4xtradersonline.blogspot.com. As you may have guessed it I usually wrote about forex trading, nothing else, so in a way I limited myself. Hence I set up a blog that covered not only currency trading but trading financial instruments in general: VDM Trading was born, first hosted on blogspot. This was right during the financial crisis of 2008, what motivated me to start blogging about trading. It occurred to me that most the so called 'experts' in the field were wrong when it came to suggestions about buying or selling a particular stock, or financial advice in general. (For instance Jim Cramer from CNBC saying that there's nothing wrong with Bear Stearns on his show Mad Money, and that it was a great buy). How wrong can you be. These are experts who are supposed to provide us with insights in the markets, people who have the best trading tools at their disposal. It appeared that no-one knew what they were talking about. In fact, it turned out I was 'outperforming' most financial 'experts' with my demo trading account, mainly because I did the exact opposite of what they were saying and recommending. Perhaps I could make some recommendations myself to help others make money. This personal trading blog is definitively not a platform to promote shady financial products in any way. I have been approached by many 'companies' and 'organizations' that sell easy forex tricks, penny stock trading opportunities or binary options trading products that of course mainly aim to enrich themselves and not the end user. I strongly advise against any of the aforementioned products on my blog. Over the years I've seen a lot (and I mean a lot!) of those schemes come and go. I get messages in my inbox about 2 to 3 times a week wanting me to place and promote their products on vdmtrading.com. I see your messages, I just don't respond to them so don't even try to approach me with this junk. It's a waste of time on both ends. I hope you like my personal trading blog, and if you have any questions or comments about trading let me know in the comment section, on twitter, facebook or use the contact form. Good luck trading, and let's keep learning together!